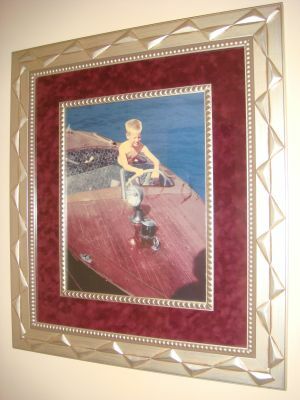 Allen's Custom Framing offers an extensive line of mouldings and art resources to choose from. We constantly seek new and innovative products to offer our clients. From basic profiles to the most intricately carved and gilded mouldings, there is something for everyone and every project. Our knowledgeable staff is always available to assist you with design and fabrication. From diplomas to priceless masterpieces, everything we frame is handled with professional care. We offer a full line of products and practices designed specifically for preservation. We also offer an eco friendly line as well as antiqued mirrors and custom beveled mirrors - all at true wholesale pricing. Pick up and delivery are available. We ship anywhere and install nationally. Our installation services range from basic picture hook and wire applications to more elaborate installations where liability is a concern or building codes apply. From small to large-scale custom framing projects, our staff has the talent and resources necessary to provide the perfect source for art and framing on your next project. We will meet with you, listen to your ideas, offer our suggestions and collaborate with you to create something entirely unique and remarkable.